Aby Kate runs a Friday morning Yoga 9:30am. Friendly classes for men and woman of all ages and levels. Aby is a qualified British Wheel of Yoga teacher and teaches a Hatha Vinyasa Yoga class at Longsdon – a flowing style of yoga that harmonizes breath & movement to give strength & agility. 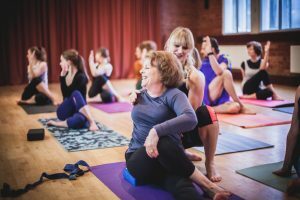 Using traditional poses (asanas), breathing techniques (pranayama) Aby creates a class suitable for all levels, beginners through to those wanting to develop their practice. To book a class at the Longsdon, Stoke-on-Trent simply contact me.